I walked leisurely to the bathroom, water dripping into the sink as I turn on the faucet, lathering on some aroma therapeutic cleanser lightly on my face, filling the palm of my hands with water, splashing the water on my face with my eyes closed as I let the sensation of the water calm me down. But wait a minute, that didn’t happen to me. The scenario I described would be something you see in adverts. We all know in reality, if you splash your face the way models do in ads, you’re likely going to end up splashing your shirt, mirror and majority of your bathroom floor. 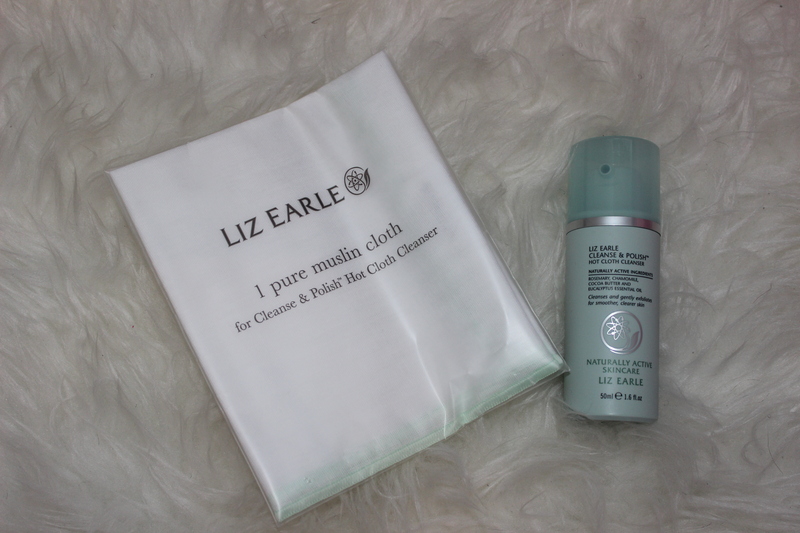 Using Liz Earle Cleanse and polish hot cloth cleanser guarantees smooth and cleansed face with a water free floor. Couple of weeks ago, I attended beauty con at Olympia London with my blogging friends, when I received this heaven sent product. Looking through the bag to see the product, my friend Zaniab immediately told me her love for Liz Earle Cleanser and what it has done for her. Excited about what she said, I gave myself a week to try it out to see how well it will work for me. On the first try, I made sure I read the instruction before I proceed to using it – I would say that it didn’t take all my makeup off. Disappointed, I read the instruction again to make sure I did everything right, only to realize that I can massage one or two pumps on my face. After reading that, I repeated the steps and rinsed my face off with water. Once I dried my face, applied my serum and night cream. I noticed how soft and smooth my face was. it literally felt like a baby bottom. It is ideally for morning or evening cleanser. Also, it has a rich and creamy texture that removes all traces of face and eye makeup, even that stubborn mascara that refuses to come out. Below is the instruction of how to use it in case you want to bag yourself one. Honestly, I urge you to buy yourself a Liz Earle Cleanse and Polish Hot Cloth Cleanser; it will change your life forever. Splash face with cool, clean water and follow with Instant Boost Skin Tonic and your choice of moisturiser. really want to try this, but I don’t know if I have the patience for it? I love the Liz Earle cleanser it’s so rich and creamy! Works beautifully at removing makeup and keeping skin hydrated!